…In Brazil, sugar cane is grown in many locations and microclimates to create cachaça. Dragos Axinte, the CEO of Novo Fogo organic cachaça, says that where the cane is grown has a significant impact on the flavors it imparts to the finished spirit. 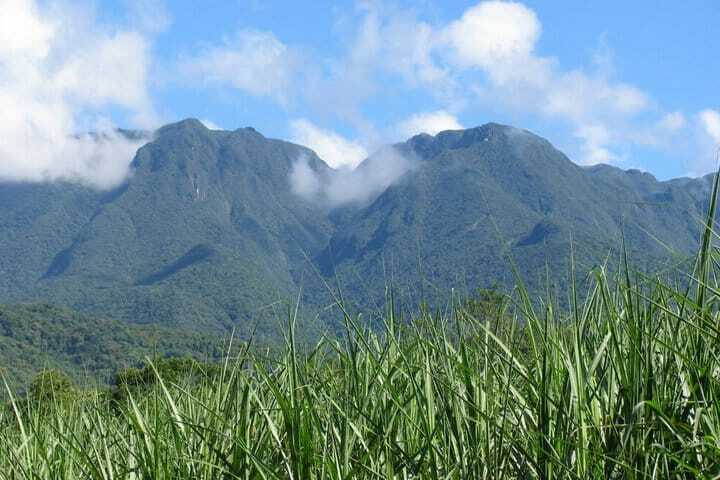 Novo Fogo is located at the base of the Serra do Mar mountain ranges in Brazil’s southern Atlantic rainforest. As a result, Axinte says they “get the best of both worlds,” located on the edge of the mountain slopes amid fruit plantations and within sight of the ocean. Novo Fogo’s location on the edge of the highly endangered rainforest and the eco-conscious city of Curitiba infuses every aspect of the rum’s production, from gravity-fed distillation (thank you, elevation) and the pristine air (scrubbed clean by the jungle vegetation on the slopes) to the red tail parrots that feed high in the mountains and help extend the jungle’s reach to the ocean through their waste.